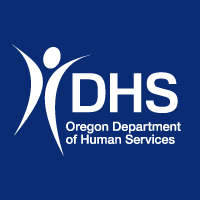 SALEM, Oregon — The Oregon Department of Human Services has announced development of a plan to return Oregon foster youth who are being served in other states. A plan will be available in the next 60 days, as the Department identifies the necessary steps to get youth back to Oregon. The Department is asking all its partners – health care providers, care facility operators, county Coordinated Care Organizations, community groups, mental health services, drug and alcohol treatment partners – to help create a shared and comprehensive vision for the safe and appropriate end to placements in other states. Oregon has to create more places where highly vulnerable foster youth can receive the best available care, mental health counseling, psychiatric supports and other services they currently receive out of state. The Department’s Office of Reporting, Research, Analytics and Implementation is conducting research to determine capacity, placement and service matching for all foster children and youth in Oregon. Early research results indicates 85 percent of foster youth can be placed in foster homes. By identifying the needs of other children and youth, the Department can estimate the specific number of settings needed including residential or mental health services, in-home plans with family treatment services and safety plans, and foster and group homes for youth with intellectual and developmental disabilities. The Department has partnered with the Oregon Health Authority and has secured a contract with Comagine to conduct clinical assessments on youth placed in programs outside of Oregon. Within the next 60 days, the Department will coordinate with out of state providers and agencies in Oregon and determine the clinical need and level of care required for each youth currently out of state. Providers in Oregon will convene during that period to identify facilities needed to return the children and youth to their home state.